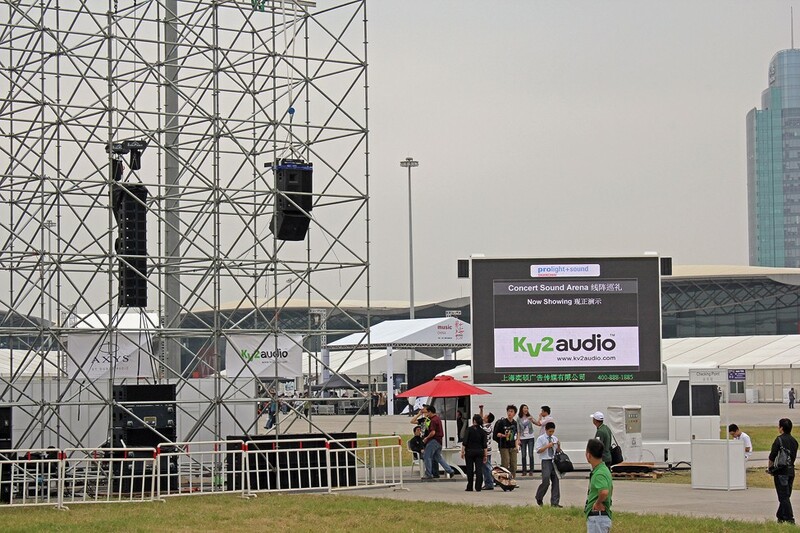 Aivin Audio, based in Guangzhou China, recently presented a full KV2 Audio VHD system at the outside demonstration area of the Shanghai Prolight and Sound show late mid-October. 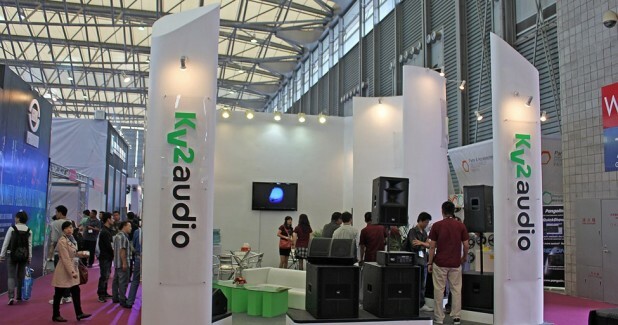 Under the careful guidance and instruction of Andy Austin-Brown-Technical Projects Director at KV2 Audio International, the Aivin team demonstrated the now readily recognised signature capabilities of the VHD system. It’s small point- source footprint, huge output, smooth coverage and superlative quality comes without the need for large amounts of DSP, corrective electronics and huge quantities of amplification that the competitors were readily applying. Aivin Audio flew a single VHD2.0 mid high enclosure and a single VHD1.0 downfill enclosure per side. A subwoofer compliment of eight single18”VHD4.18 subwoofers were used per side. Over four days, three separate 15 minute presentations were made available for all listeners to sample the above mentioned factors as well as comparing with larger physical line arrays and multi array systems. Using recorded source material as well as speech, the system showed how easy it can be to obtain even coverage over wide and long distances as well as presenting exceptionally vivid imaging and high dynamic range with extreme definition at all levels. 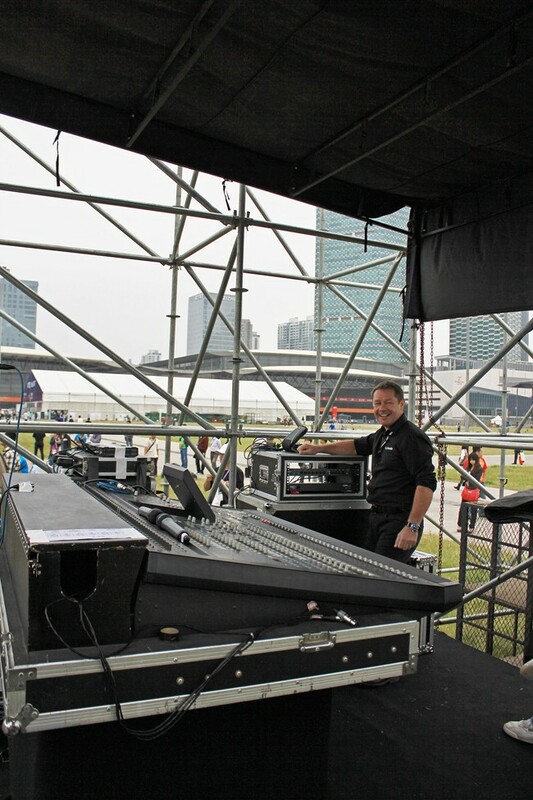 Andy commented: ‘The show was very well organised, with competitors helping each other as well as encouraging individual demonstrations, a nice touch within our industry, showing the real passion for quality sound that runs throughout audio companies around the world’. 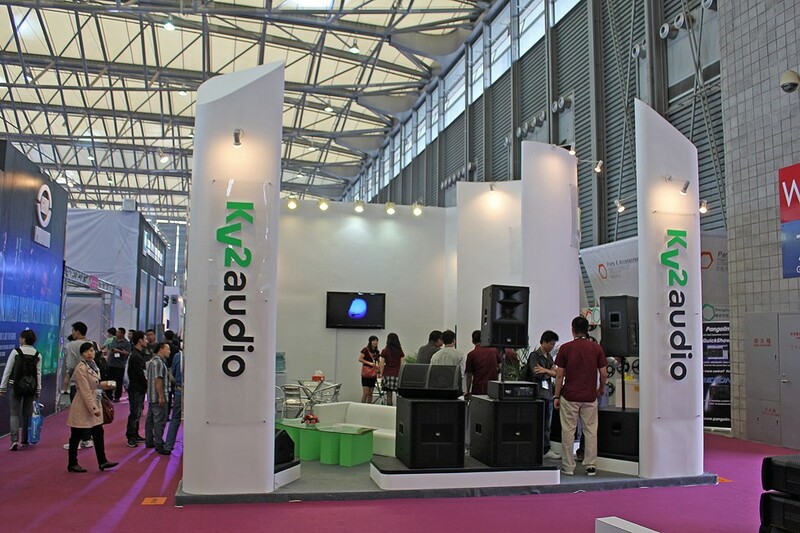 This was the very first time that Aivin Audio have presented a large sound system in such a format, so it was a good learning curve, as well as an extremely valuable and enjoyable experience for all concerned, a lot of new friends and admirers were made at the show, advancing the understanding of the capabilities and philosophies of KV2 Audio. Andy and the Aivin crew were swamped with questions on the system’s stunning performance, many from other company representatives who were also demonstrating! The combined team of Wilson, Liyang, Ada, April and the sales team from Aivin performed a superb service both on the stand in Hall 5 and out in the demonstration area, all supported by Winger and his translation specialities! ‘It was a real pleasure to work with them and I look forward to doing so again soon.’ said Andy.